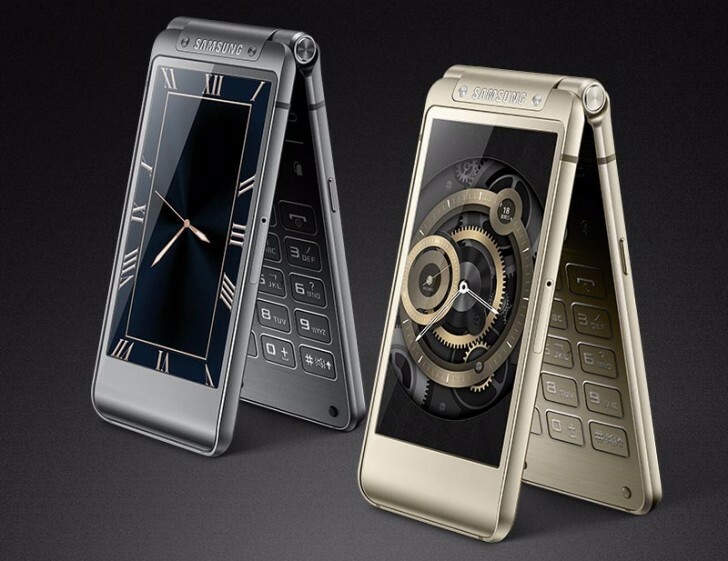 Apparently, Samsung’s next high-end clamshell Veyron is closer than we thought. A full 12-month product life of last-year’s SM-W2016 would have us expect the new model some time in November, yet the SM-W2017 has already been imported into India for testing. As the Zauba customs website indicates, 5 units of the new flip phone have entered the country a couple of days ago, with some news coming out of the otherwise scant listing. What was initially reported to be mainly a chipset update, now seems to be a little more – screen size has been increased from 3.9 to 4.2 inches. Other than that, we can’t squeeze much from the customs database, as the unit value of INR 27,492 ($400) is hardly indicative of final pricing – the SM-W2016 cost more than $1500 in China last year, so this year’s model doesn’t seem likely to go for a quarter of that. Rumored specs of the Veyron from last time include an Exynos 8890 chipset, and a 12MP/5MP camera combo – if that sounds like the Galaxy S7, don’t be surprised, as the SM-W2016 was largely based on the Galaxy S6 of that time.